Thanks to a friend, I was able to get a print copy of the first Erevis Cale omnibus back in 2012, and it was one of my best reads of the year, honestly. The setting was fantastic, the characters were amazing, and the story itself was just plain good fun. Its what got me really started on reading more Forgotten Realms fiction actually. My next read was the War of the Spider Queen 6-book series (Review of Volume 1 and Volume 2) and then I moved on to Erin M. Evans’ Brimstone Angels series (reviews of book 1, book 2, book 3). For a Dragonlance Chronicles fan like me, the Forgotten Realms setting is a whole lot of fun, top to bottom, side to side. 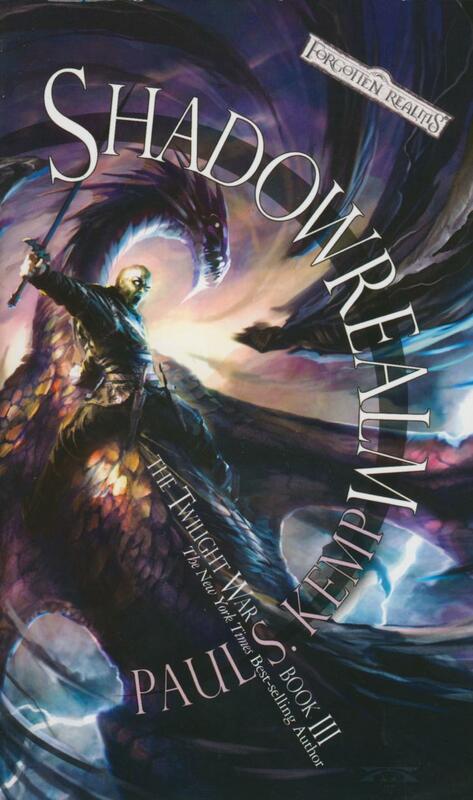 Now that I’m fully on the kick, having read seven Forgotten Realms novels this past year and with plans to read at least that many this year again, I really can’t get enough of it all. Erevis Cale, as a character is intensely fun to read about because of how three-dimensional and flawed he is. He isn’t your cliched god-character, but someone with some real foibles, with real weaknesses, and in the midst of it all, a real hero who is selfless. Again and again this series calls on him to make sacrifices and he does make them, even if the cost is his own life. What Paul began in Erevis Cale Trilogy (review) continued on really well with Twilight War (review) and then with The Godborn (review). The novel was delayed because it was replanned as a tie-in for The Sundering, but I’m really glad that the extra time was taken on it, because it is an amazing book (it even made my best books of the year list, here). What Paul did in the first six novels was really develop Erevis as a character. The novels are truly a journey in every sense of that word, and watching Erevis change and grow, make enemies, make friends, do hero stuff, do some not-so hero stuff, and all, it gives me a great feeling. The first six novels had a distinct overall arc and they can definitely be read independent of each other. But I wouldn’t recommend that. If you want the proper Erevis Cale experience, you gotta read them all in order. Erevis, given how things happen at the end of the Twilight War trilogy and throughout The Godborn, is one of my favourite characters of 2013 because of how easy it is to get lost in his story. He is ably supported by a wonderful cast of characters, both heroes and villains, and that’s indeed one of the strengths of Paul’s writing. Erevis is a character you can be passionate about, and that’s the true charm of the character. 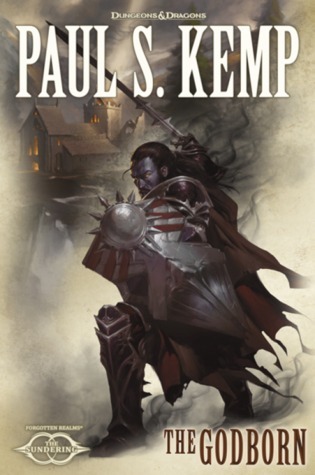 Posted on January 4, 2014, in 12 Days of Best SFF Characters of 2013, Book Lists and tagged 12 Days of Best SFF Characters of 2013, Book Lists, Cycle of Night, Demons, Devils, Drasek Riven, Epic Fantasy, Erevis Cale, Fantasy, Forgotten Realms, Gods, magic, Mask, Paul S. Kemp, Shadovar, Shar, The Sundering, Vasen Cale, Wizards of the Coast. Bookmark the permalink. Leave a comment.